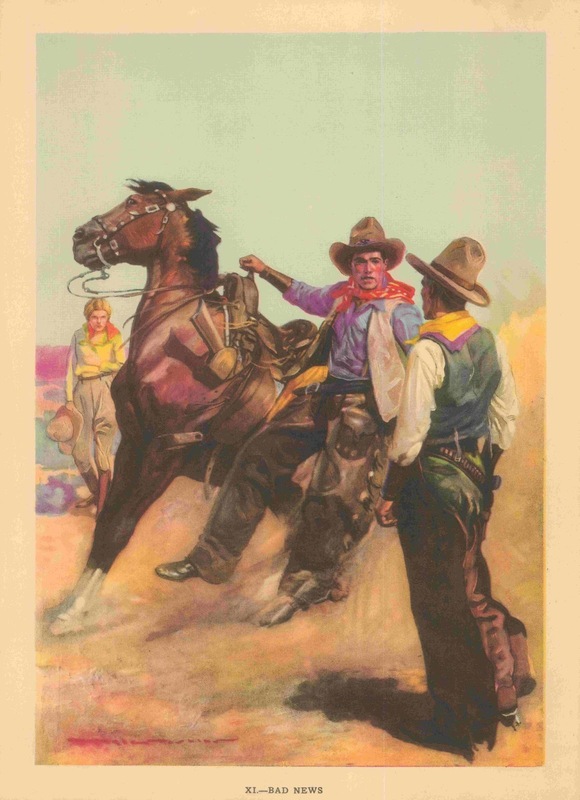 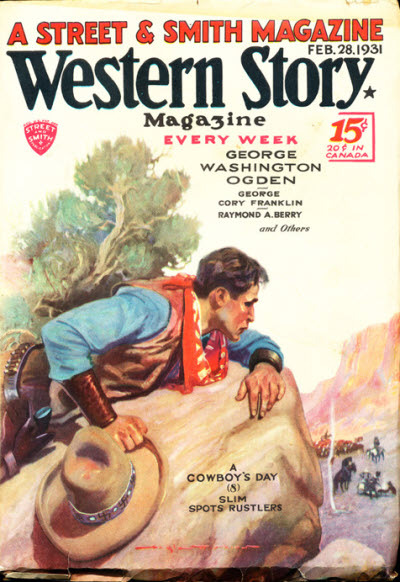 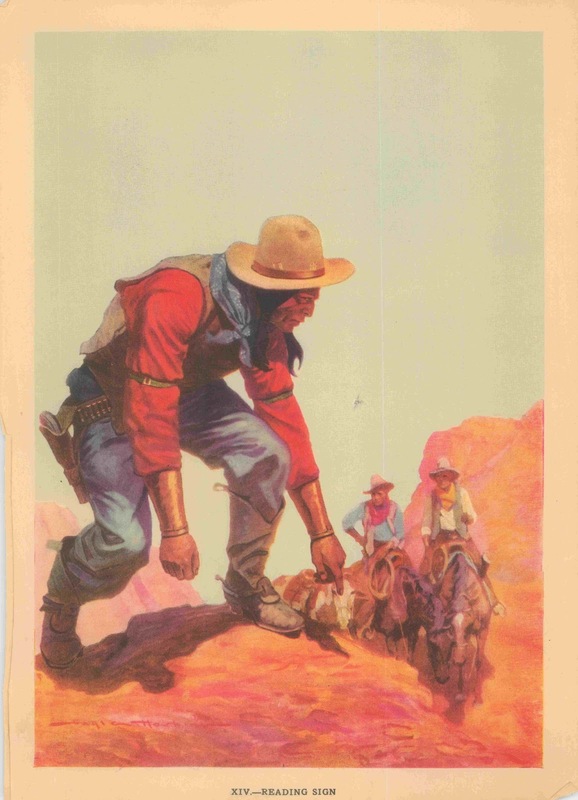 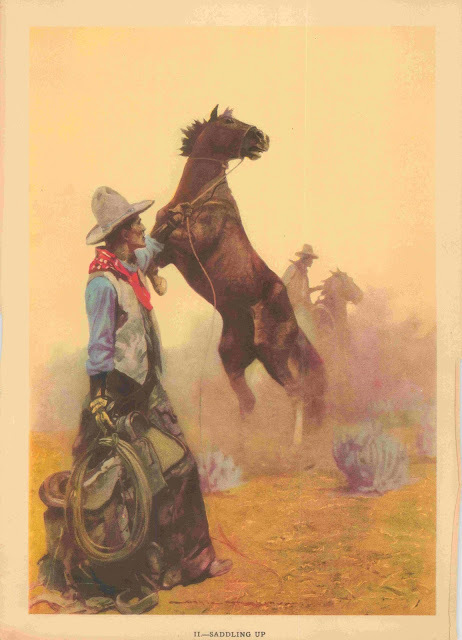 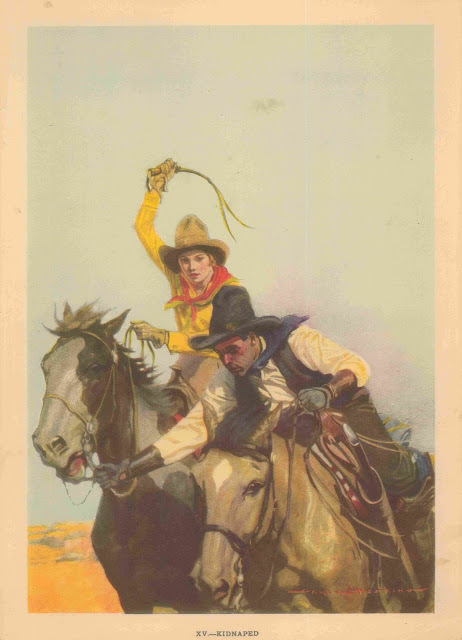 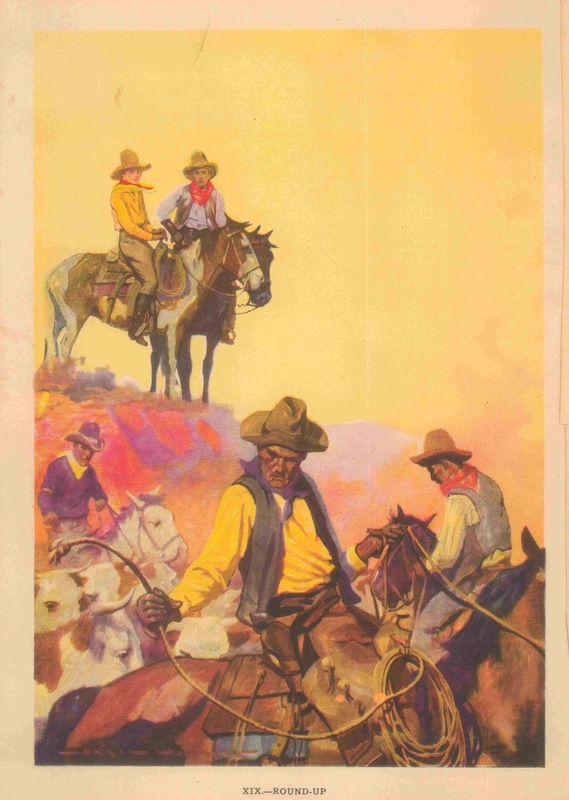 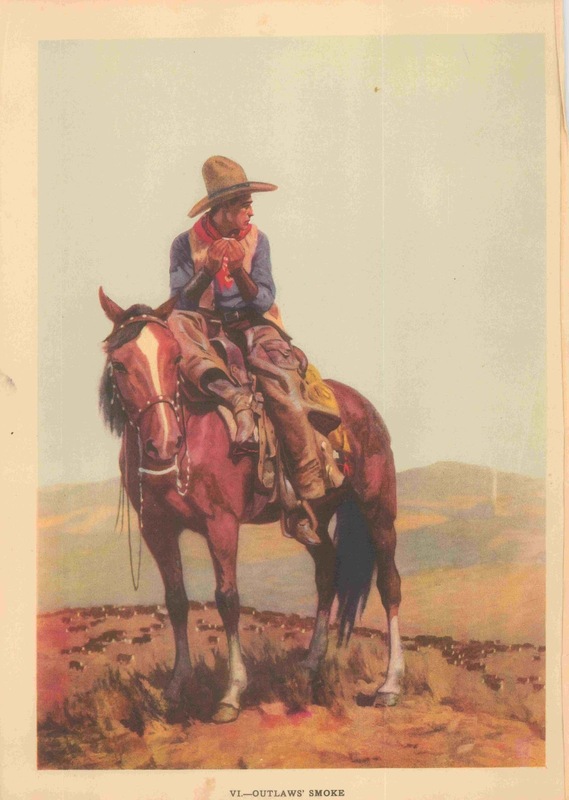 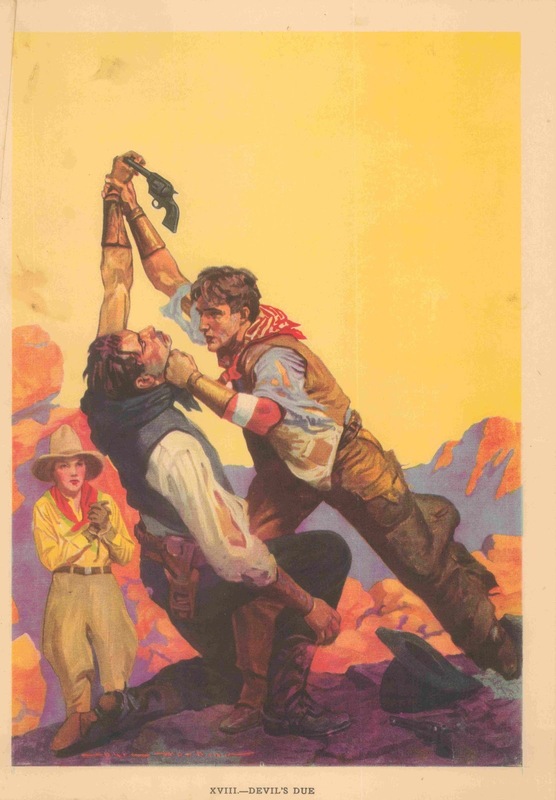 The artist Gayle Hoskins did many covers for Western Story Magazine, starting in 1929. 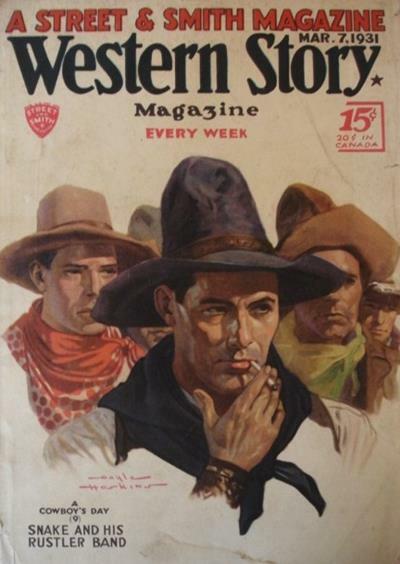 One of the few positive things to emerge from the Great Depression was that many excellent cover artists were forced to do illustrations for pulp magazines as their incomes dropped. 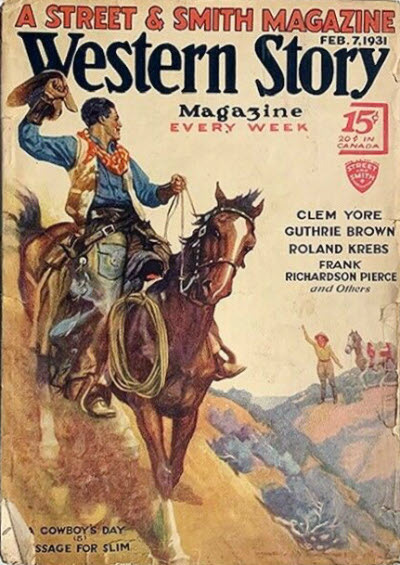 This led to improved quality in covers overall during the early 1930s, and provided good mentors like Emmett Watson to up and coming artists like Rudolph Belarski. 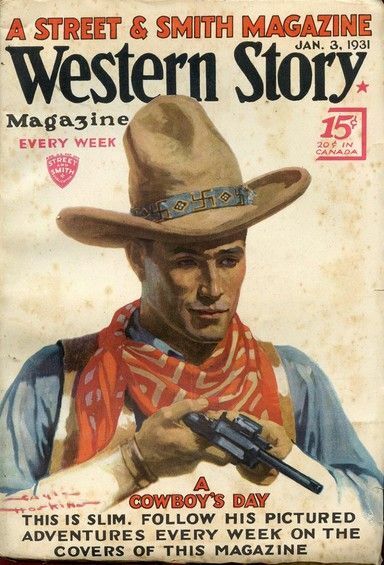 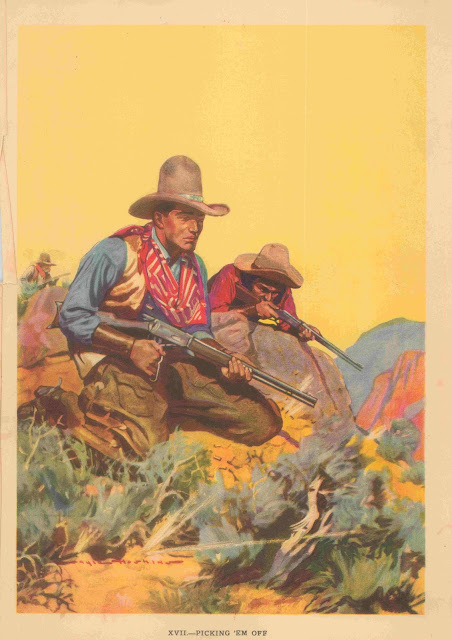 Hoskins did a series of 27 thematically related covers titled "A cowboy's day" starting with the January 3, 1931 issue and ending with the July 4th issue. 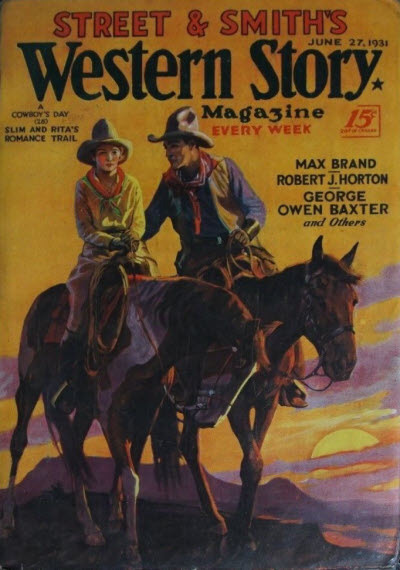 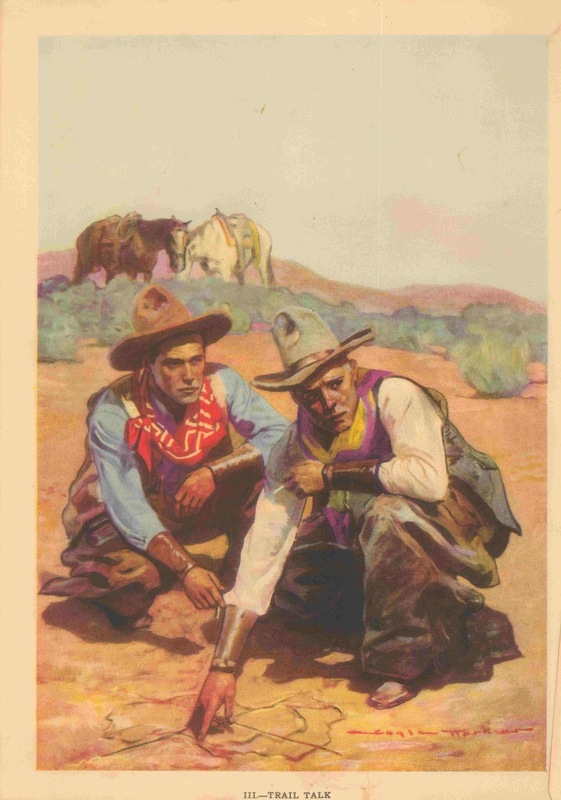 Of these covers, 20 were collected as a set of prints offered for sale by Street and Smith, the publisher of Western Story. 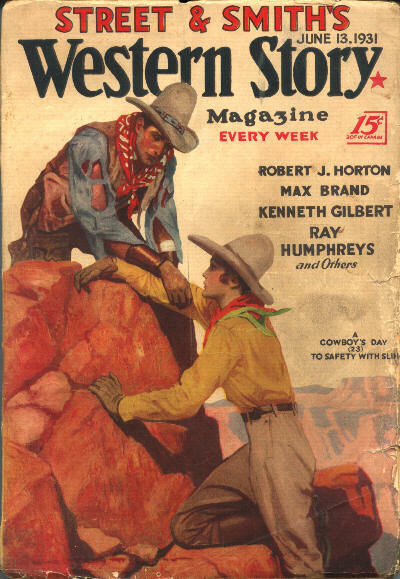 I don't know why some of the covers were omitted, i included them here (taken from the FictionMags Index of Western Story Magazine). 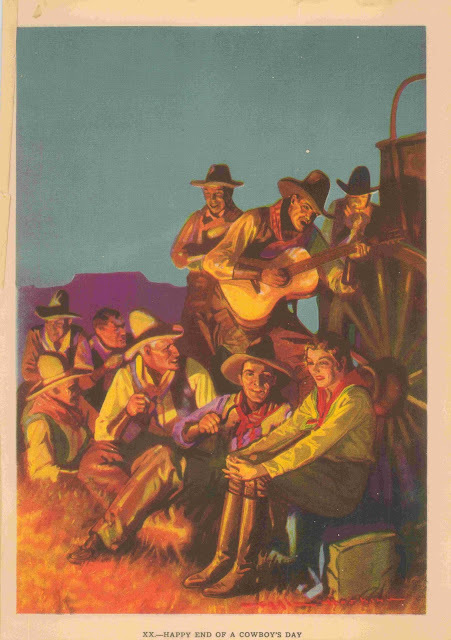 I got hold of a nearly complete set, missing only a single print. 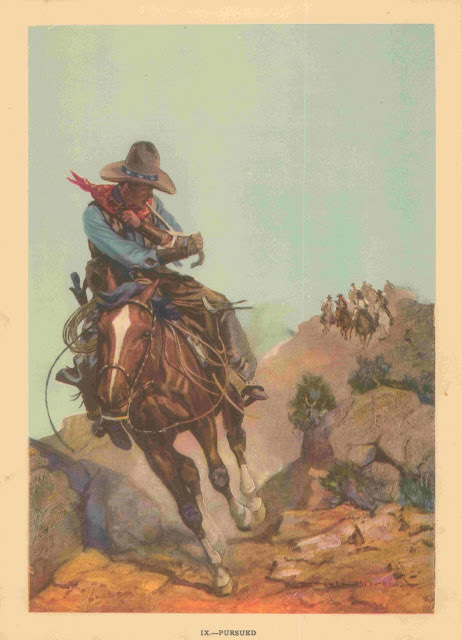 Thought you might want to see it. 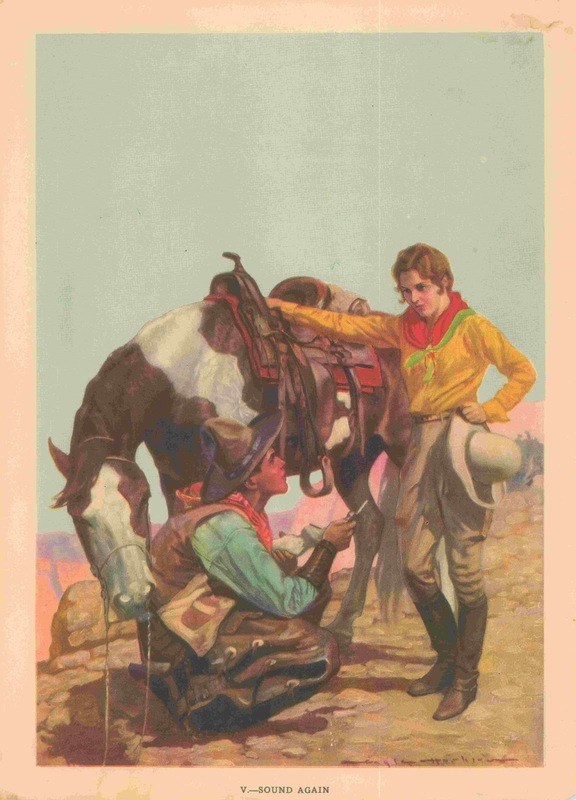 Tell me your favorites in the comments. Mine are 4, 14 and 20 in the printed set, and "Snake and his rustler band" from the unreprinted ones. 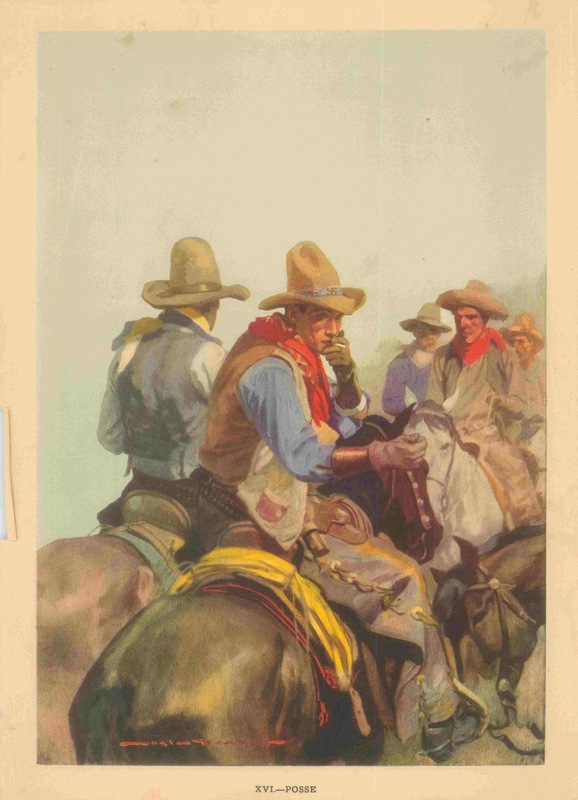 Gayle Hoskins - A Cowboy's Day #12 "Chuck"
I have a set of the prints of A Cowboy's Day in the original mail wrappings and I've often wondered how they ever survived. 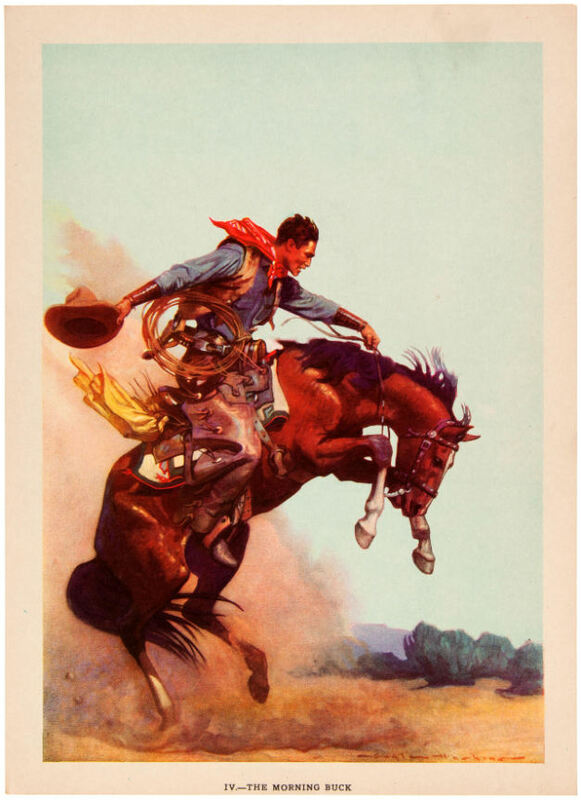 Most of the prints were tacked up on walls and eventually thrown away but somehow a few sets remained carefully preserved. 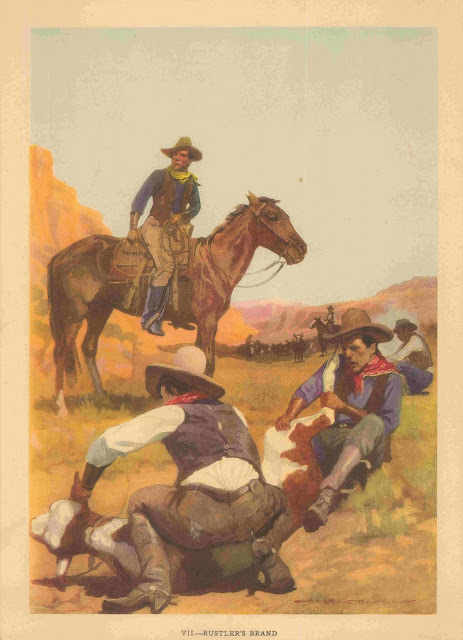 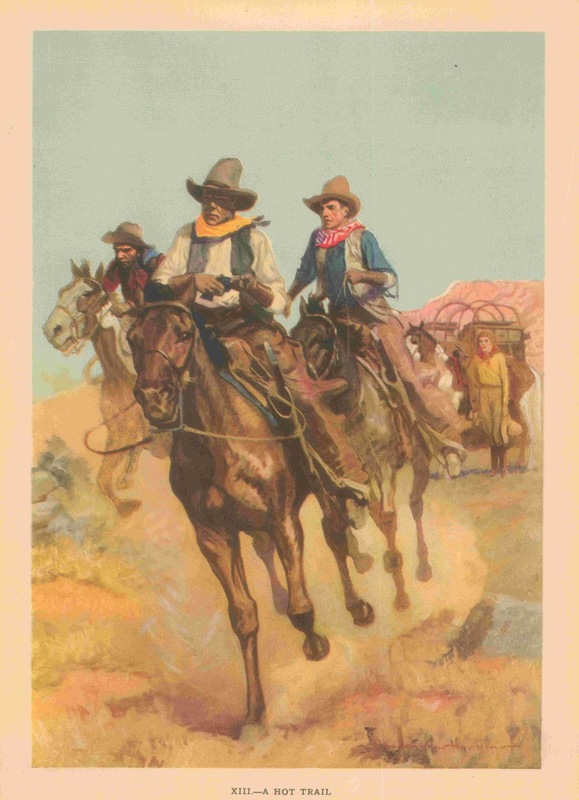 My favorite print is the one showing the chuck wagon which was such an important part of the cowboy's life. 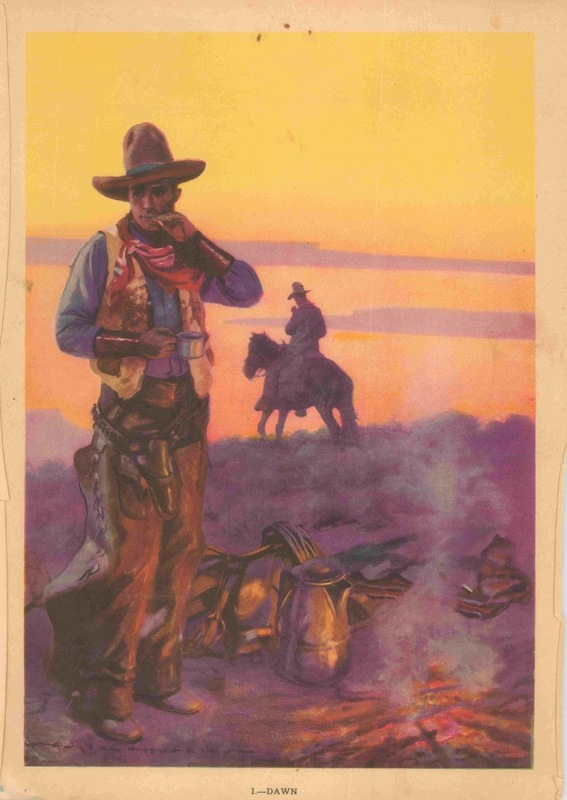 Back when I could find cover paintings for a few hundred dollars I was once offered one of the original oil paintings in this series but the price was $5000 which was a lot more than I ever paid. I reluctantly had to turn it down. 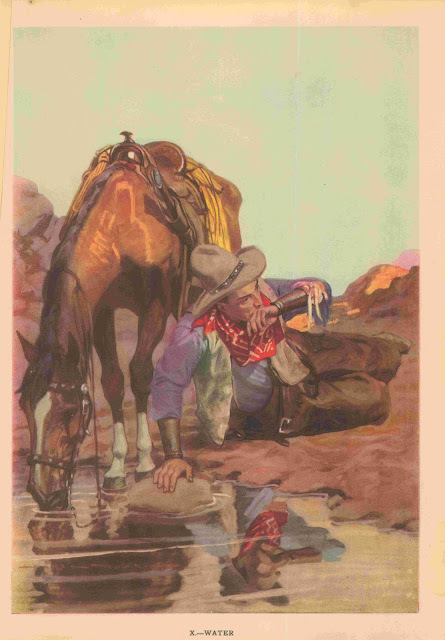 Yes, these weren't really meant to survive, but I guess the circulation was wide enough that a few did. Now tell us which painting you almost got. 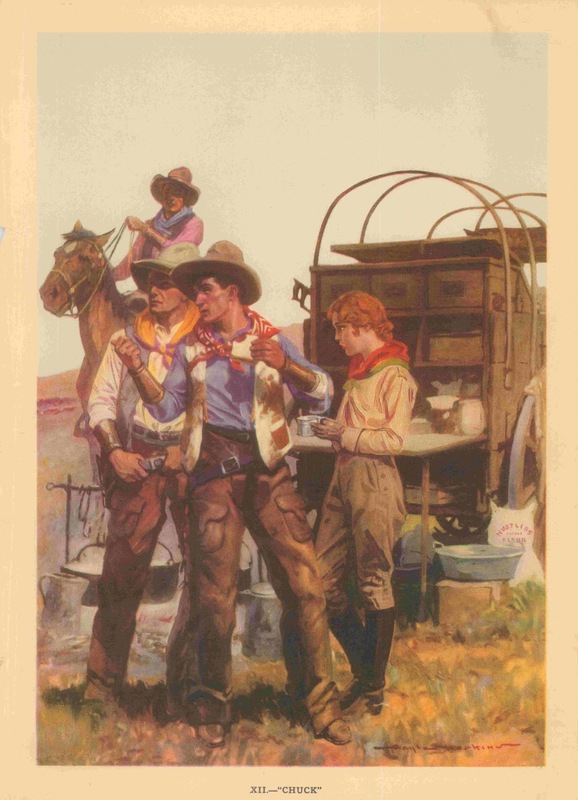 It was number 14 Reading Sign. 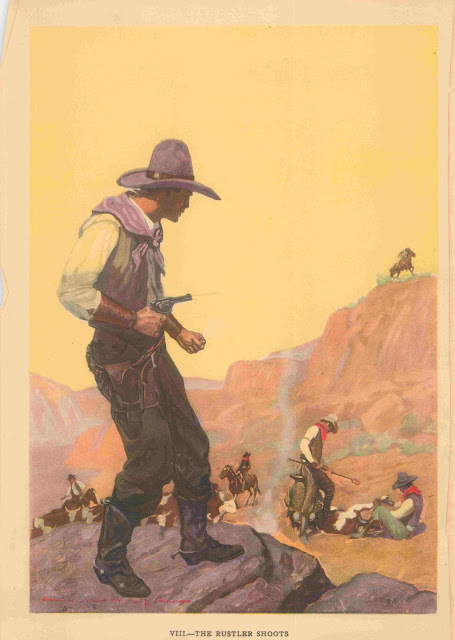 Actually the image did not impress me but Hoskins is one of the western painters that brings higher prices. 5k just seemed like too much especially since the highest I had paid at the time was only $700.